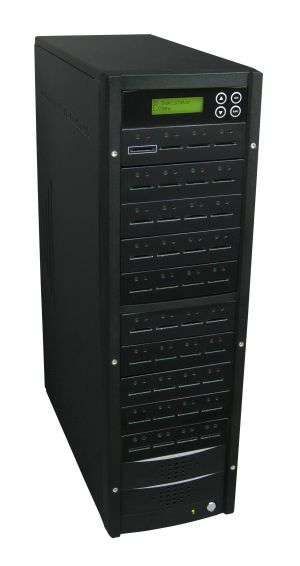 The CopyWriter Pro CD/DVD Tower Duplicator series of tower duplicators feature 3, 5, 7 or 10 CD/DVD recorders and a built-in 500GB hard disk drive to store master images. 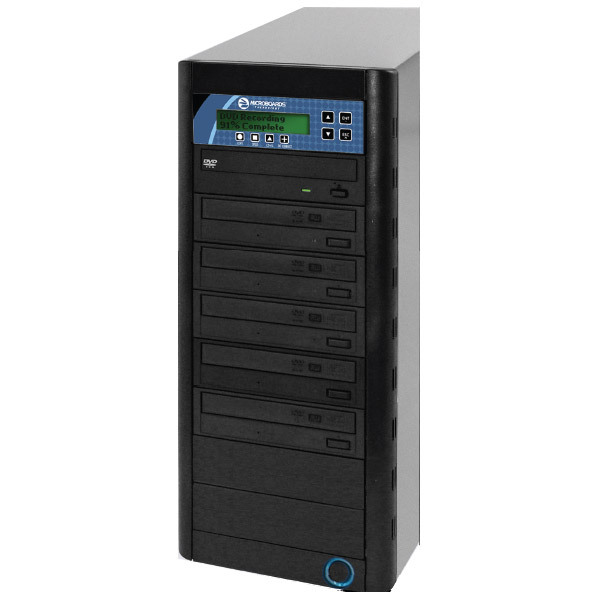 This tower DVD duplicator comes equipped with an intuitive, menu-driven display and a premium 8-button control interface offering one-touch operation for the novice user while providing advanced features like network connectivity and copy protection sofware for the professional. Burn discs - lots of discs - with the Microboards CopyWriter Pro duplicator towers!